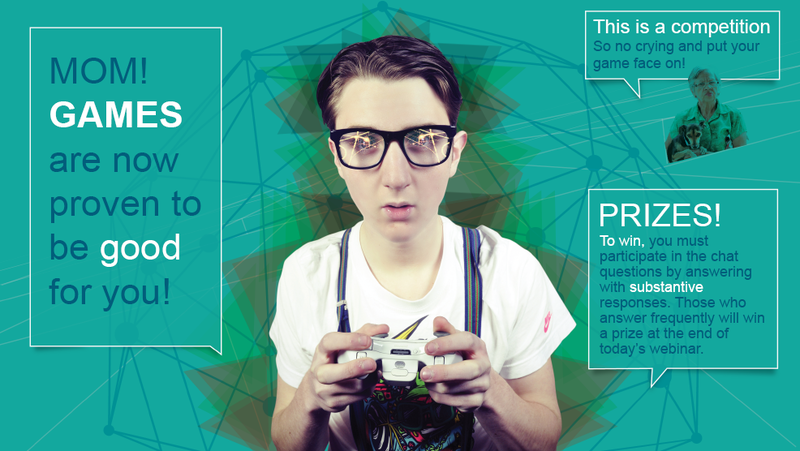 Gamification (or just plain “gaming”) is a huge buzzword in the learning community. According to the experts in human behavior and brain development, gaming is not only good for you, but essential to the development of parts of our brains that control our cognitive skills. As with any topic of this nature, we will continue to evolve our approach as experts expand our knowledge of its true potential. But to get us started, in this first post of a series on gamification, let’s discuss the building blocks of gaming, which begin with something we are all familiar with: play. What does learning start with? It starts with a question. However, as Beau Lotto discusses in his TED talk, questions create uncertainty. Lotto argues that uncertainty is naturally a negative, “If you are uncertain that is a predator, then you’re most likely dead.” One could argue that to teach or train someone successfully, we would need to overcome that uncertainty. What better way than to use games? Uncertainty is at the core of every game and games are able to transform uncertainty into something fun and enjoyable. If you are a visual designer, you may ask yourself, “Why is he talking about psychology and how we perceive our world around us?” I truly believe that gamification is not as simple as plopping on a leaderboard or a badge. To use gaming successfully to promote learning, we must understand why and how they work. Stay tuned for more on this topic. I look forward to sharing all the research and forward-thinking that I encounter on a daily basis! I agree that the best way to learn is through games. People tend to retain knowledge better through play than traditional study. I’ve found this myself to be true. Great article! “Simplicity is the ultimate sophistication.” Steve Jobs was not the first to enlighten us with..
As a designer, it’s easy to make pretty pictures. Now try making designs that go..
Gamification (or just plain “gaming”) is a huge buzzword in the learning community. According to.. Designers of Game-Based Learning: Do They Exist or Are They Bigfoot? Is the supply of learning professionals who understand game design ready to meet the demand..
What Makes a Good Learning Game? Routinely in my role as Creative Director at SweetRush, I’m asked, “What makes a good..